Mushroom Technology Book from C.H.I.P.S. 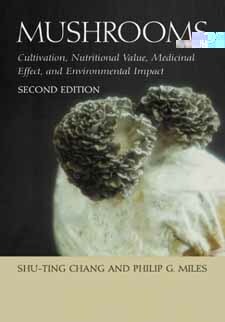 This thorough revision presents the latest cultivation and biotechnological advances that contribute to the modernization of mushroom farming and the mushroom industry. It presents the individual steps of the complex mushroom cultivation process, not only the "how" but also the "why" is explored. Professionals/scientists in related fields will obtain a much greater knowledge of the nutritional and medicinal benefits that mushrooms have to offer. This interdisciplinary approach will appeal to a wide range of related fields with its complete coverage of breeding, efficient cultivation practices, nutritional value, and medicinal/pharmaceutical utility.